Well, as you guys know, the previous pink throne coin cheat has been more or less fixed. 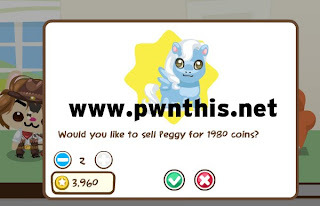 Nofil2000's idea is selling your Peet Pegasus. My previous database cannot be used for coin cheat so you have to download this new one. This is because i used Lion to evolve into Pegasus and Lion costs 2000 and Dragon peets does not sell for as much as Pegasus. So basically make lots of Pegasus first, then sell them all.